Frederick, Md 21703 distance of the hotel. Redhorseusa.com If you expect to join us, please let me know by April 1. If you expect to join us, please let me know by April 1. Frederick, Md. 21704 If you expect to join us, please let me know by April 1. After reading our new and exciting CWLR website, our member Brother Gregory Hosaflook saw our Oct date dilemma and offered a solution, which I have accepted.. Brother Hosaflook is also a member of the NSSA which has skirmishes that have in the past conflicted with our October stated. Day Lodge has been active since it was re-chartered in 1841. It meets on the second floor of the Louisa Methodist Church and has since the building was erected in 1852. Both the church and the lodge were used as a hospital after the Battle of Trevilian Station. There is a history and photos of lodge members who are Civil War veterans. 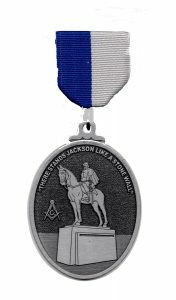 After lunch Brother Hosaflook will give a talk about Civil War carbines and a history of the lodge.and the area. He is also arranging for a guided tour of the Trevilian Station battlefield.